It was a pleasure working with Steve, Tova and the entire Steveworks team on our renovation project. Steve renovated a master bedroom and bathroom for us ten years ago and we were happy to have him return to do a second job. He has a group of very talented subcontractors, many of whom have worked together for Steve over many years. They are highly professional and very pleasant to have working around the house. Our project involved some creative problem-solving and Steve and Tova came through with flying colors. I’m thoroughly enjoying the beauty and functionality of my new kitchen. 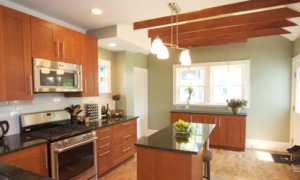 I highly recommend Steveworks for all kinds of house renovation work. Love working with this truly family business–father, mother and son! Honest, straightforward, take genuine pride in their good work. 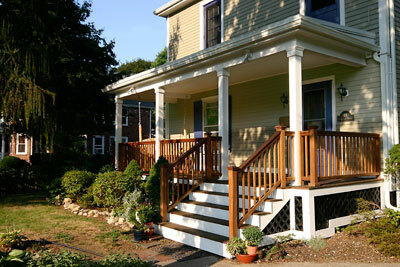 They re-did our front porch. Great about recommending options but not being ‘pushy’ about it. Did not try to add on more cost by e.g. saying we did not need to replace some of the rails, but could rather re-use them, and keep portions that had no rot, etc. Even added on extras like staining the bench to match new mahogany porch, and making a pallet to hold stacked wood. Beautiful finished product. Steve and his team did a terrific job on my kitchen. From the very start, Steve was punctual and he was also very responsive to any questions or concerns I had. His designer, Tova, has a keen eye for detail. Tova was also very good at keeping me within my budget, offering a variety of choices that enabled me to do so. 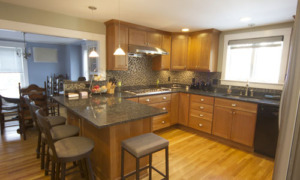 She did a phenomenal job from start to finish on the design, layout, and the overall feel for the kitchen. 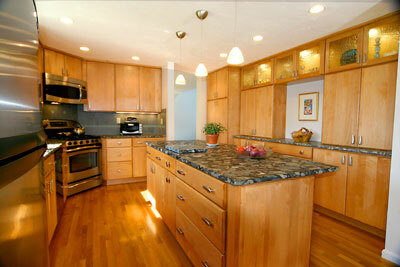 She was also very responsive to any worries or anxieties I had during the renovation. The project manager, Asher, was sensitive to any issues I brought up, and also has a keen eye for detail, ensuring the highest quality of work was being completed. I’ll definitely be going back to Steve and his team for future projects! We really appreciate the professionalism and client service exhibited by Steve, Tova, Asher and the rest of the team. They were timely, responsive, sensitive to our requests — and they were also just a pleasure to interact with on a daily basis! We really appreciate how capably they guided us through the whole process. They and their team of subs (more on that below) did fantastic work but just as important, they were great communicators. They were very good at managing our expectations on the most important aspects of the project: time and cost. When a snafu did happen, which was rare, they were right on top of it and always kept us informed. 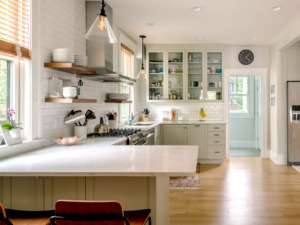 Steveworks renovated the kitchen and powder room in our 100+-year-old home down to the studs. 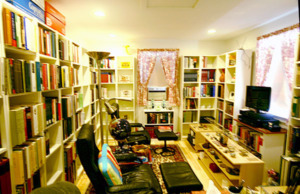 Because we made some changes to traffic flow and walls, it was more like an entire first-floor living space renovation. The carpentry work that Steve, Asher and their team did was excellent. They were able to reproduce original trim perfectly, where needed. Their subs did excellent work as well and were professional and reliable. Tova came up with the idea to reconfigure the main entry into our kitchen and it completely transformed the space. 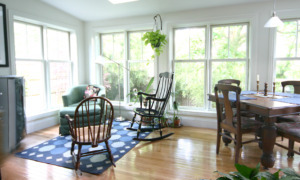 We gained a more usable floor plan but kept the features of our home that give it character. A nice bonus – Steveworks are good people! Our family looked forward to seeing them every day. We wouldn’t hesitate to use them for our next project. From beginning to end it was a pleasure to work with Steve, Asher and the rest of the Steveworks team. 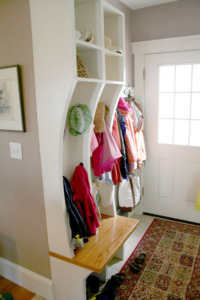 The idea of a mudroom had been in my head from the time my family moved in three years ago — but the feasibility of making the mudroom a reality didn’t take shape until I spoke to Steve while he was working on a job at a neighbor’s house. Steve was friendly and open and both he and Asher were great about creating the product that met our vision while keeping in mind the reality of the space and budget. 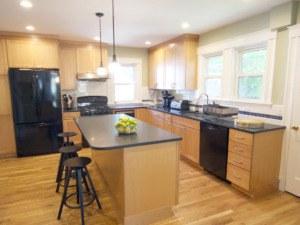 This was our first renovation experience and Steve and Steveworks made it a pleasure. I recommend them highly. Steve did a complete gut and replace of my kitchen. Work was done on budget and on-time, and it was a pleasure to work with Steve throughout the process, including the two months he was in the house daily. Very good management of the project overall and an excellent result. It’s important to think about the subs who will do flooring, electric, plumbing, tile. All of the people Steve brought in were top notch. In all, I recommend Steve very highly. He would be my top choice for any future work we have done in the house. We needed to rebuild our rather large and complex outdoor deck – comprised of 3 separate areas, 2 of which have built in benches. From the bidding phase to the cleanup phase, Steveworks was a total pleasure to work with. Smart, thoughtful, flexible, cost-conscious, meticulous. During the work they found some unexpected (and unrelated) problems – and managed those perfectly also. They finished the project on time and on budget – at a level of quality one rarely sees. We would work with them again in a nanosecond. After interviewing sever al contractors, we are so glad we hired Steve and his crew to completely rebuild and expand our 1950s kitchen. He did everything possible to be respectful of our budget, even as we ran into a few (to be expected in an older home) small surprises. His advice was invaluable, and responsiveness immediate. Steve was omnipresent; always making sure the job got done right no matter what stage it was in. Steve and his crew were not only nice to have around, but created a safe and even fun atmosphere while we lived through this major renovation and necessary disruption in our home. 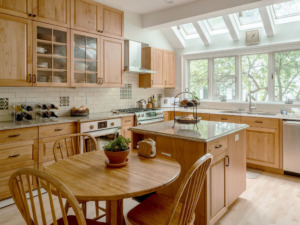 With their diligent work, we went from a cramped, awkward, and outdated kitchen, to one we love and doubles as both functional and sorely needed social space that our modest home previously lacked. Steve, Tova, Asher and the crew were extremely professional and responsive. They were easy to get in touch with and thoughtful and flexible about developing solutions, both proactively and reactively. They consulted us about any change they had to make so there were no surprises and found the balance of how much we wanted to be included in the design process vs how much we wanted them to lead. 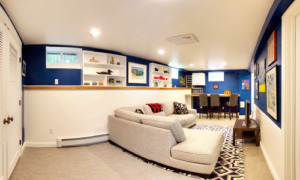 We are very happy with the work they did, which was finishing half of our basement. Our house had a huge amount of internal and roof damage from last winter. We also wanted to add a wood rail for safety around an outside staircase to our basement and a roof with detachable winter “walls” to prevent that stairwell from filling with snow and pouring into the basement as it melted. steveworks designed this entirely new structure for us, showed us the computer-generated images, and built it…The results are beautiful. We were very satisfied with Steve’s work. He pays attention to detail. He works well with the client, and he refuses to accept schlock. No cheapo fixtures or cabinets etc. If you’re looking to cut some corners, Steve might not be for you. He is stickler for doing the job right. Steve is honest and lives up to his word. Steve’s work is excellent. 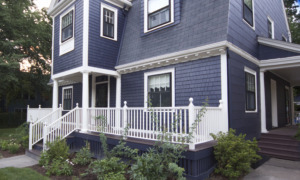 The work that he did for us involved having insulation blown into the walls, a complete stripping of the existing shakes, sealing the exterior of the house with solid foam insulation followed by Hardie Board clapboards. In addition to that work, we had new windows installed on the ground floor (with the old sash weight cavities filled in with foam). 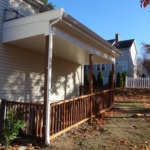 We also had an existing (and quite horrible) concrete porch removed and a new mahogany deck put on, including new stairs and railings, and we had a new basement bulkhead built. 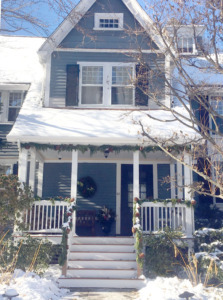 The house looks great (we just had it reappraised for a re-fi and it came in higher than we had thought). Our heating bills this past winter were just a bit over half of what they were last year. We’re planning on doing our kitchen and bathroom as soon as we can afford it. I wouldn’t consider having anyone other than Steve do the job. I recommend him unconditionally. It was a really lucky day when I asked our mechanic if he knew a good contractor, and he gave us Steve’s name. He is very knowledgeable, creative, highly skilled, incredibly hard working, meticulous in his attention to detail, punctual, flexible, honest, and a real pleasure to have around – by far the best contractor we have ever had! There was a ramshackle, enclosed porch attached to the back of our 160-year-old house that had no heat and was beginning to rot. Steve tore it down, opened up the back wall of the house and rebuilt the old footprint as a kitchen extension, transforming a dingy, unusable space into a stunning enhancement to our house, with skylights and floor to ceiling windows on three sides. The addition is also highly energy efficient, with numerous small touches that are hidden (most contractors probably wouldn’t have done them) but provide additional weatherization and other benefits. We are ecstatic about our new space that greatly enhances the quality of our lives on a daily basis, and we loved working with Steve, from start to finish. He gets an A+! It started casually. 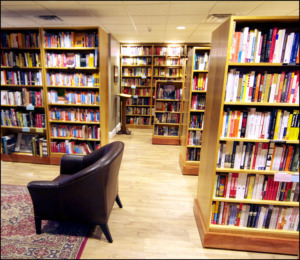 We needed someone to put some shelves on casters at our business, Newtonville Books, at the old Walnut Street location. Steve said he’d come by and take a look. Soon we had a couple of small shelves up on wheels, a smart solution to our having to move them around the bookstore. When it became apparent that we were losing our space and would need to move the bookstore, we knew the key to a move of this magnitude would be the person who had to take down all the shelves affixed to the wall and reassemble them in the new location in Newton Centre. We immediately thought of Steve. That’s all we thought we were asking him to do. Move some shelves for us. We didn’t know that we’d need him to put most of them back-to-back, and up on casters rated to bear hundreds of pounds of books so that we could swivel them out to make space for our literary events. Or to build tables in the front windows of the new space. 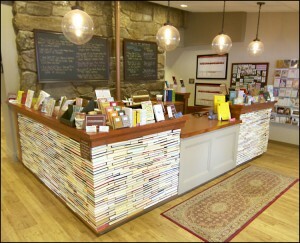 And we had no idea that we’d ask him to build a front counter out of 800 hardcover books. Or that it all had to be done in thirty days or less. Steve was game and became our guide as our needs changed and became clearer. The most important quality Steve possesses above his superior knowledge of his trade is his honesty and integrity. 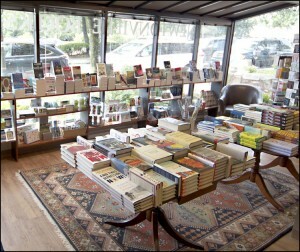 If there’s a business that grosses less annually than a small, independent bookstore, I don’t know it. But we wanted our new space to feel like the kind of bookstore Newton would be proud to have in its neighborhood and Steve helped us realized what we could and couldn’t do based on our budget. Steve had a game plan and it isn’t a stretch to say he single-handedly built Newtonville Books in Newton Centre one nail at a time. We continue to enjoy our new kitchen each and every day. After twenty-eight years of living within a space not of our choosing, Steveworks gave us the confidence to move forward, to reenvision what might be, and help us achieve a result that exceeded expectations. 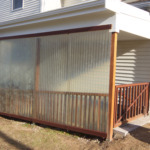 To Steve Greenberg’s credit, he completed the project within the budget we had established. His problem-solving abilities proved second to none, and we consider ourselves lucky to have partnered with him. 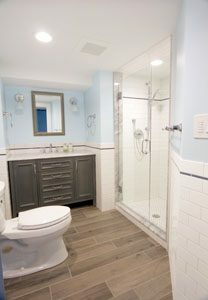 I had been trying for a couple of years to hire a contractor to remodel a bathroom in my family home. Since I live 1000 miles away, it was difficult. Then, I found Steveworks. Steve and Tova have been nothing short of amazing. 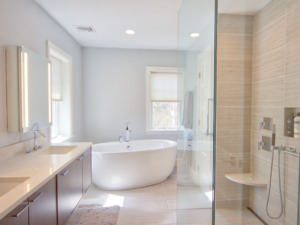 They have designed and built a beautiful new bath, on time and on budget. And they, and all of their workers, were a delight to work with. They were extremely considerate of everyone living through the project. They kept the job site clean and neat, packing everything away at the end of each day. We wound up expanding the project to incorporate insulating and finishing all of the basement walls. The results look fabulous. Their work was so good, I am already contemplating the next improvement to this 100+ year old home. We wanted to let you, Asher and Ollie know how much we appreciate your work to rebuild our front porch and get the house painted this summer. We have been through many different construction projects, and this one was an absolute pleasure from start to finish. We have had so many compliments, including from complete strangers. You’ve asked before how the insulation in the new room is working. I thought you’d be interested in the following: last night, outside temps dipped below zero, and the room’s only heat source at night is indirect (through the open door from the dining room, the radiator in which is on the opposite wall from the door). This morning, the temp in the new room had dipped to about 59. Not bad… and not really all that different from nights when it’s in the 20s (when the room is typically 60 or so in the a.m.). 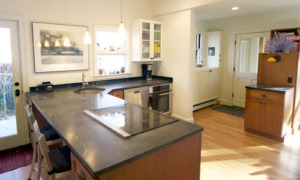 Steve redid our entire kitchen, and was a pleasure to work with. From the beginning, he made sure we understood the scope of the work – including work that we might consider because we had walls and the ceiling open – and explained upfront when the plan had to change, and why. Communication was never a problem with Steve. Steve and Asher were also happy to explain what they were doing, and why, at any point in the process, whenever we asked…without making me feel dumb for asking. But the main thing I liked about working with steveworks is their integrity. I trusted that, when Steve suggested doing something a certain way, he wasn’t looking to make more money. It was the right way to do it, and it would last, meaning less money in the long term. I’d work with Steve again in a minute. Steve and Asher designed and constructed several built-in and expanded pieces for our kitchen and back entryway. For our kitchen island project, they took off a huge piece of granite, expanded the cabinets underneath, built shelves, and then installed an enormous and beautiful piece of maple. For the back entrance project, they took out an old heater, installed a smaller profile one, and built a bench/cubby structure. Overall, these guys are great. They are excellent communicators, and each has a unique style and perspective. They work well together. They’re personable and funny and realistic. They’re honest! The planning process was a real pleasure. They did a great job of using what they knew about us and our lifestyle to imagine the design. We especially appreciated Steve’s commitment to generating ideas and his eagerness to talk about this and other myriad projects we might have in our dreams. He’s an admirably big thinker, but he stays on target with cost and is incredibly tuned in to the efficiency and sustainability of a house. The structures feel super sturdy, and they look great. We have recommended them to friends (and will continue to do so!) and hope to get them back for more work in the not-too-distant future.